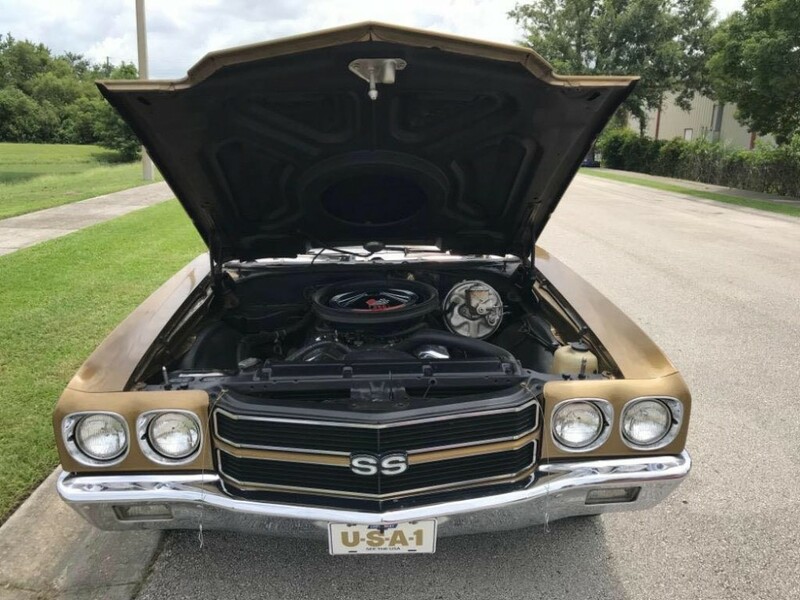 Now available by The Motor Masters is a Gold 1970 Chevrolet Chevelle SS for sale. 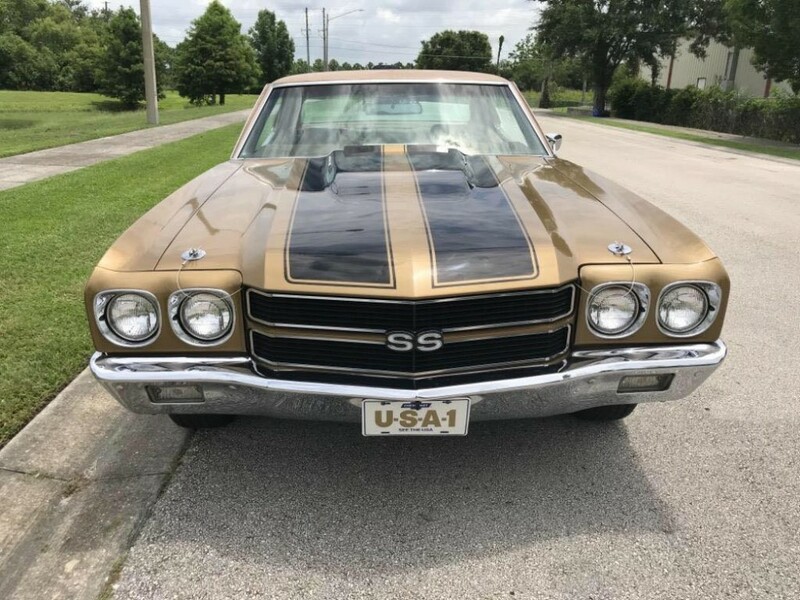 Gold on black SS stripes, tan interior, numbers-matching L78 396 big block under the hood… do you really need to read any further? 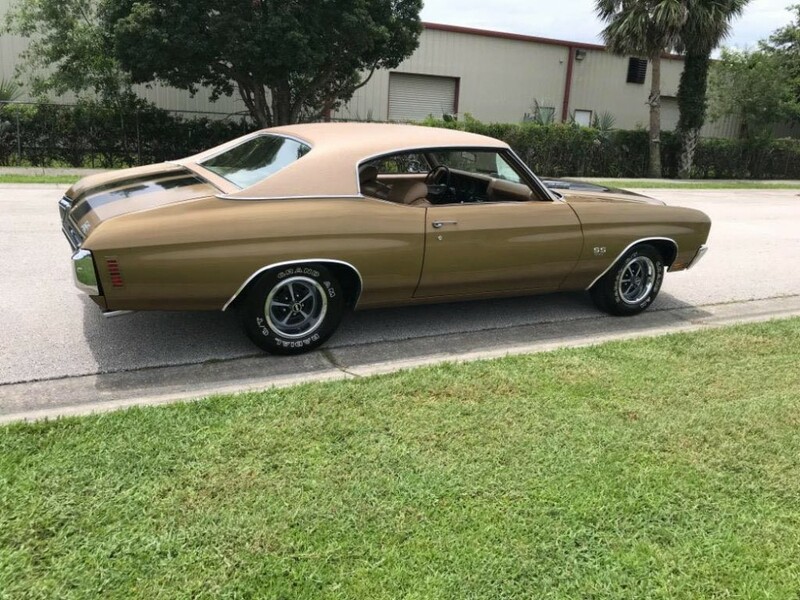 Some combinations are so iconic that you can picture them while you’re sleeping, and this 1970 Chevrolet Chevelle SS is the muscle car of your dreams. 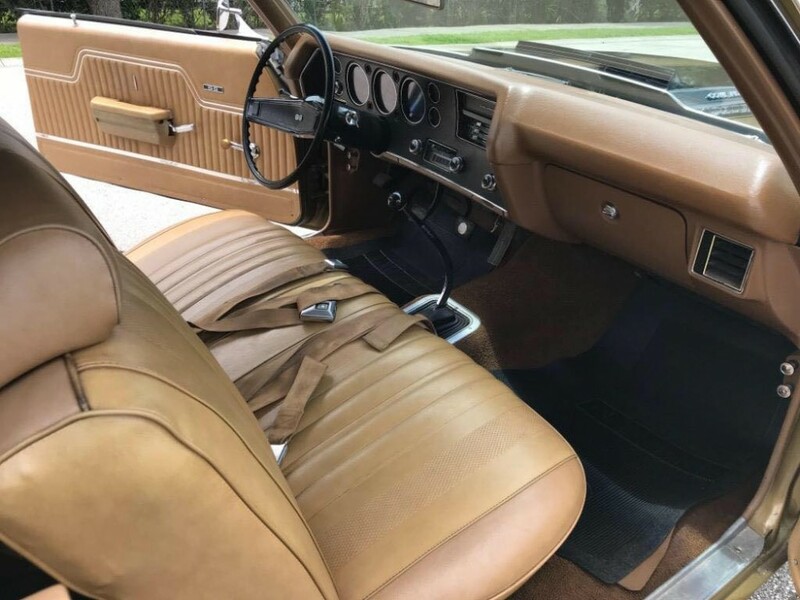 This coupe is an original Survivor with the desirable factory shade of Olympic Gold. 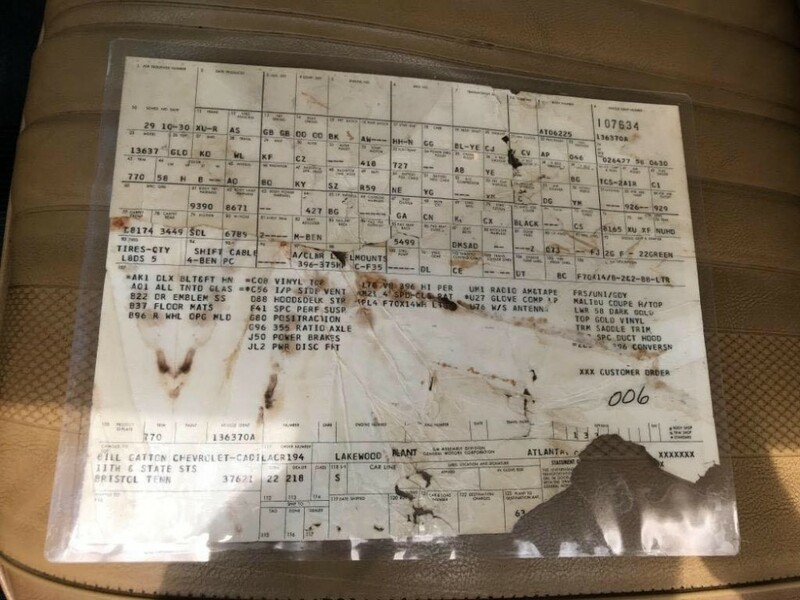 It is still in extremely good shape for a Survivor! 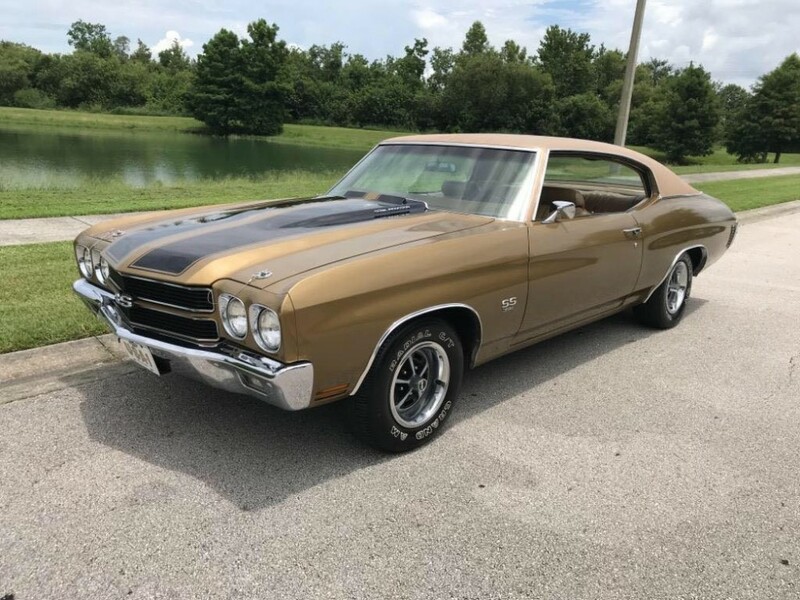 The iconic shape of the 1970 Chevelle looks like it was suited for the black SS stripe package. It has a powerful look that the superb chrome accents can’t even outshine. 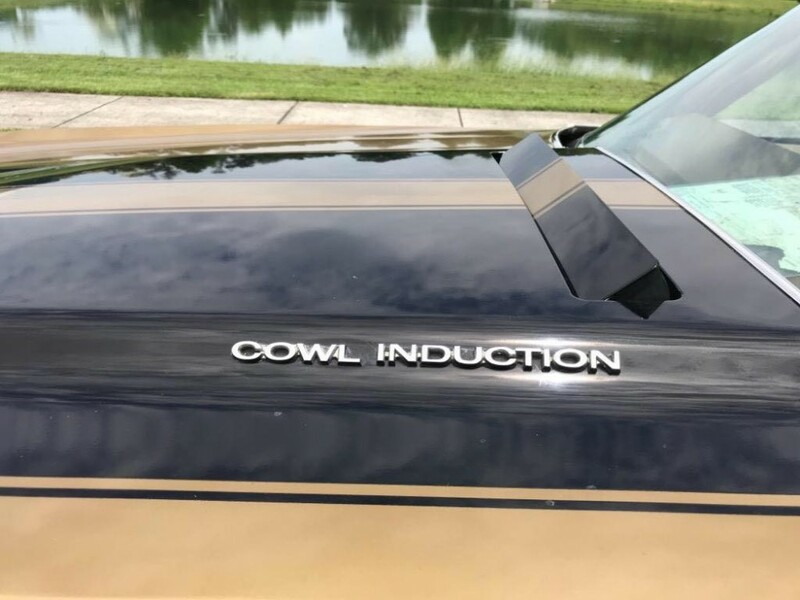 The cowl induction hood is a must-have on a Chevelle, and this one looks great with hood pins at the corners. The blacked out grille and SS badge up front are pure intimidation in any other car’s rear view mirror. 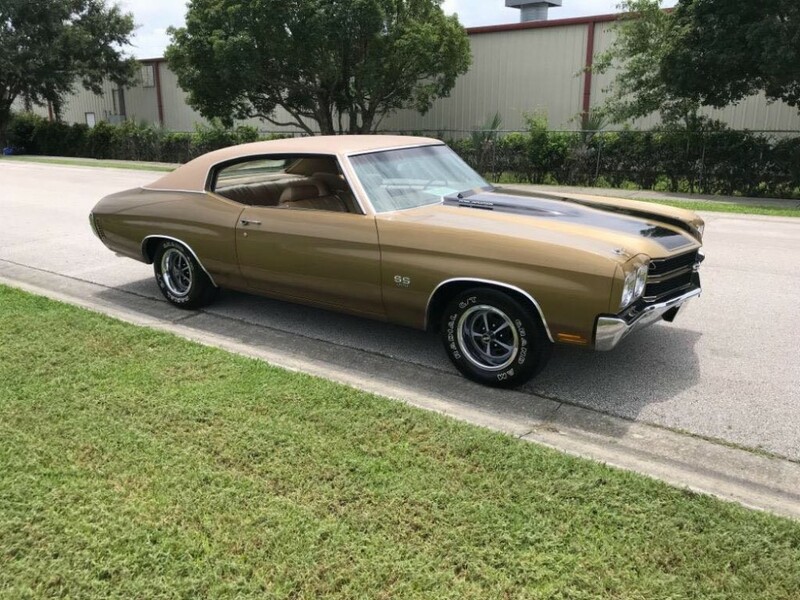 The final piece to this super muscle package is the set of correct sport wheels with SS badging and period-correct Goodyear reproduction tires. Get inside, and the festival of tan continues. 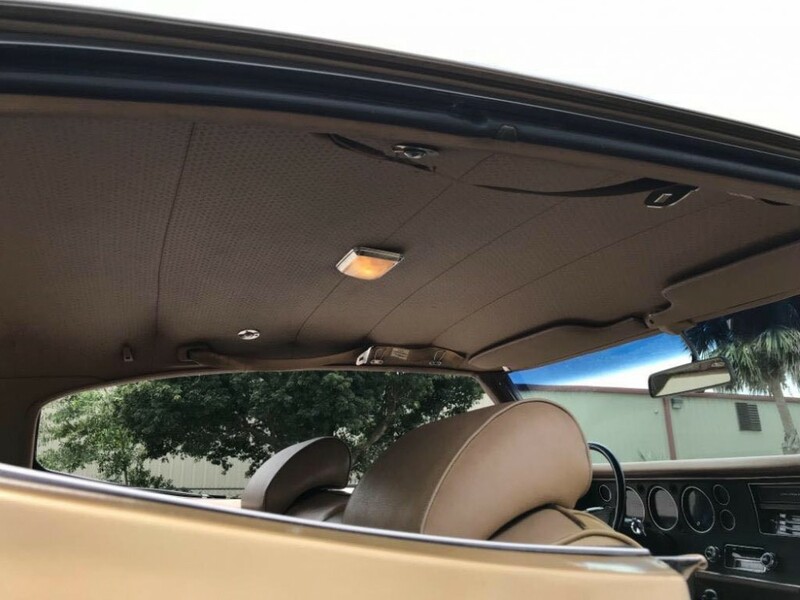 The original Tan vinyl has been expertly maintained in this Chevelle’s 48 years. 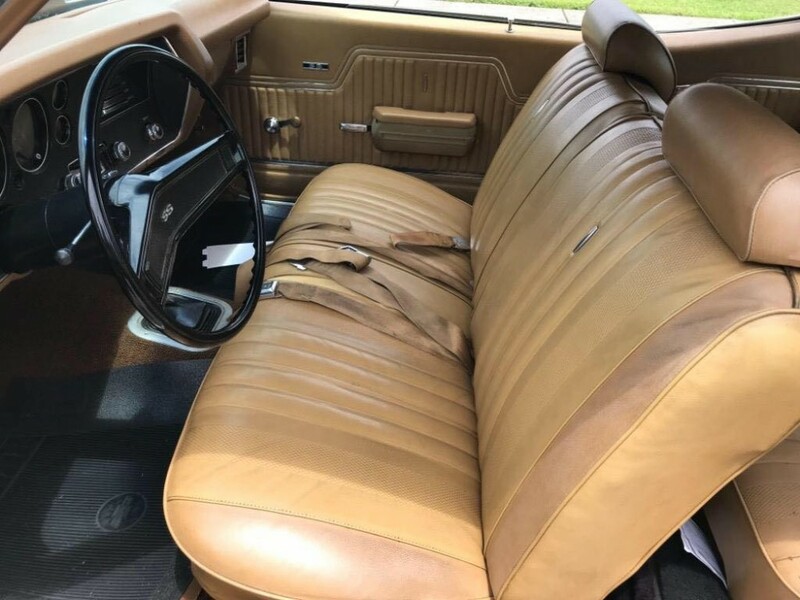 This six-passenger fast express has all of great Malibu attributes, plus the correct SS badging on the door and steering wheel. 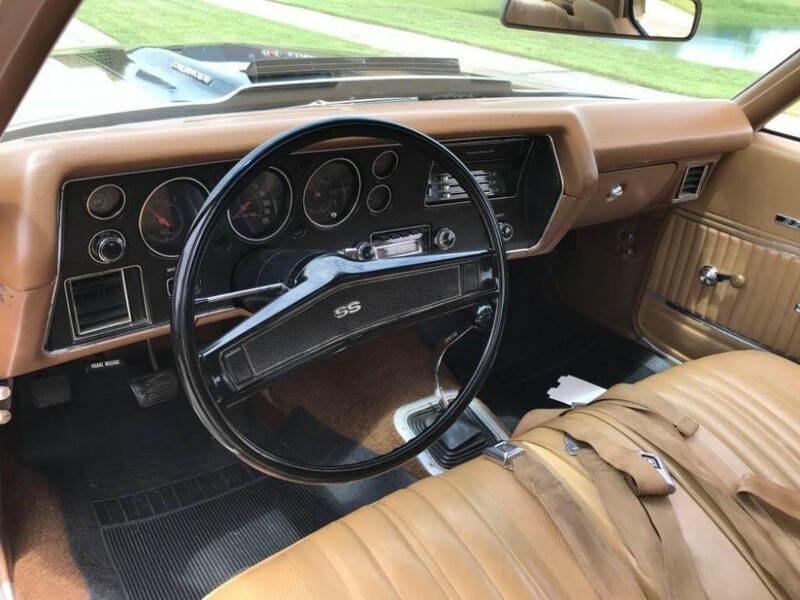 You can display the reproduction window sticker to check off all the original features are still in place – from the AM radio to the manual transmission. 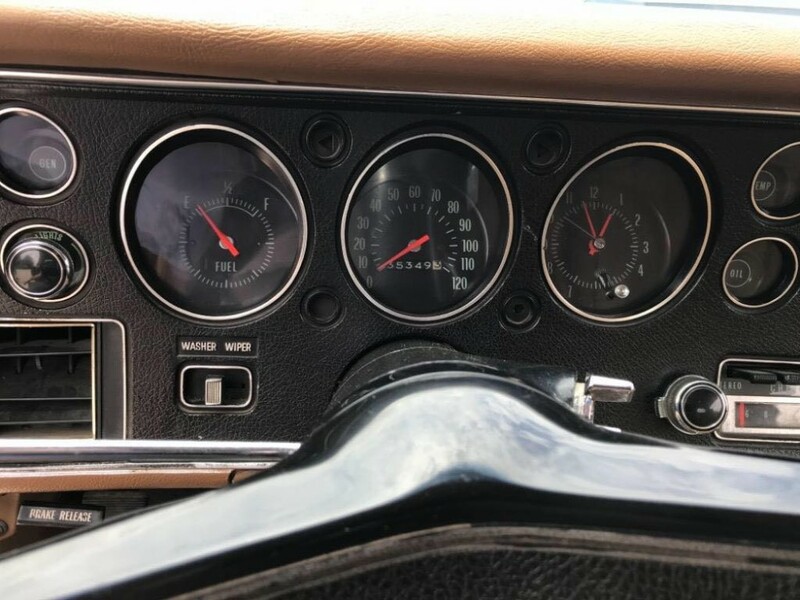 You should especially like the original gauges that not show off the original tachometer next to the speedo, but it also displays the lights for real gauges to monitor the vitals of the monster motor. 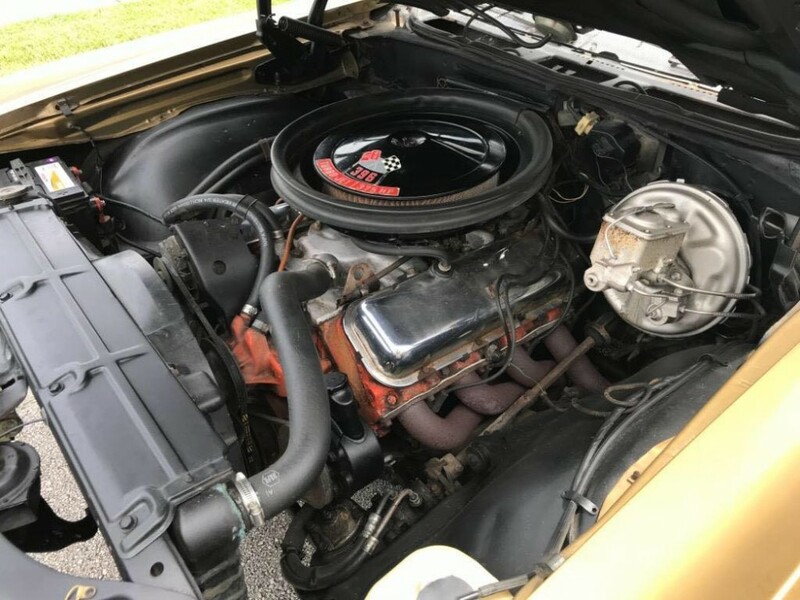 Rare L78 Car with 396/ 375 HP Motor, Car features include Matching #’s 396.375 L78 Motor, Matching #’s 4 Speed Transmission, Matching Rear End, Believed to be 35,000 Original Miles, 2 Original Build Sheets, Original Paint, Very Rare SURVIVOR CAR! 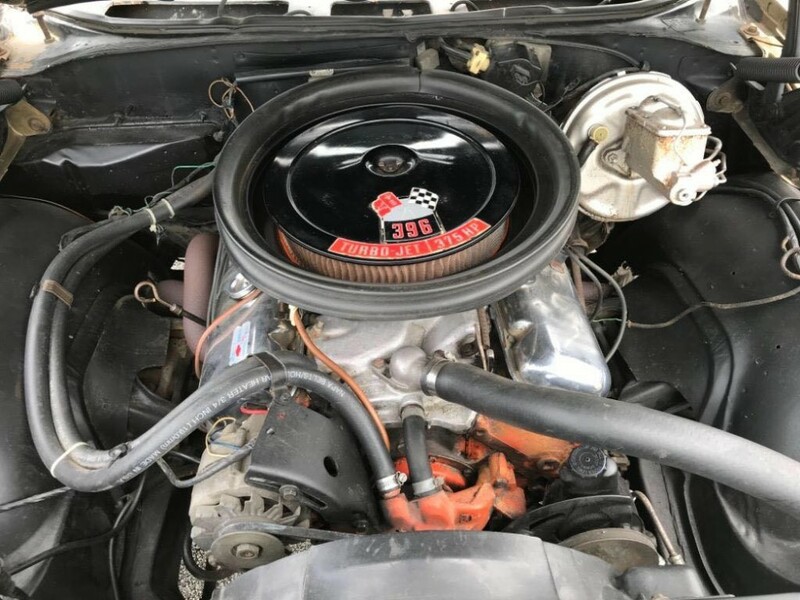 Car has Cowl Induction Hood and 4 Speed. 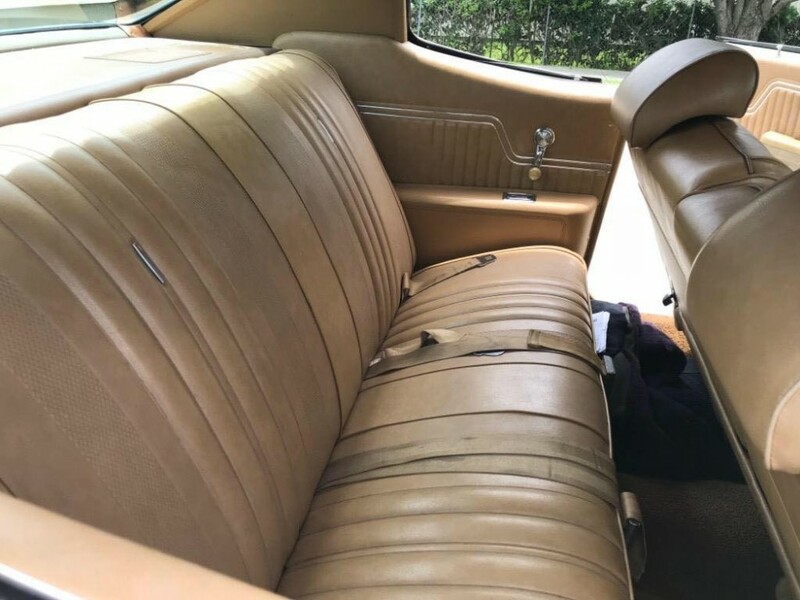 This car is very rare and must be seen! 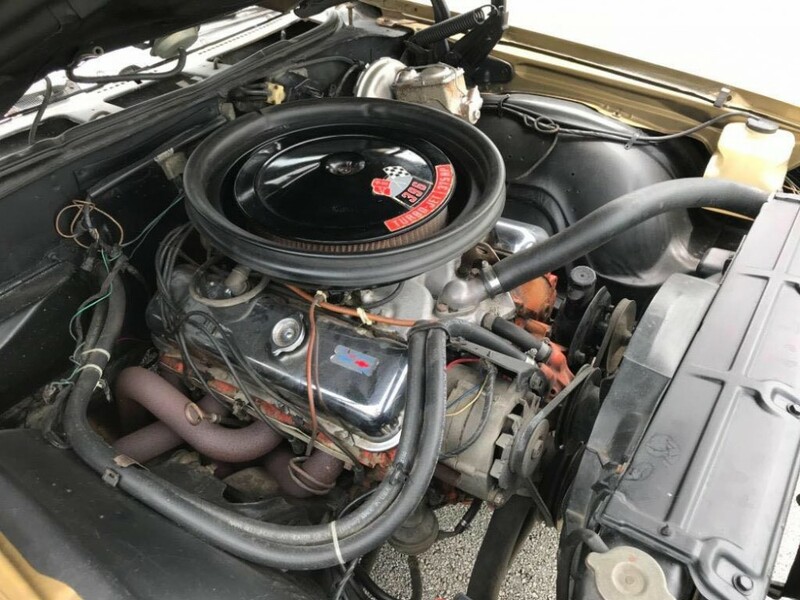 If you are looking for a true Survivor Chevrolet Chevelle SS to add to you collection that also has the rare L78 396 V8 motor, then you have found it. 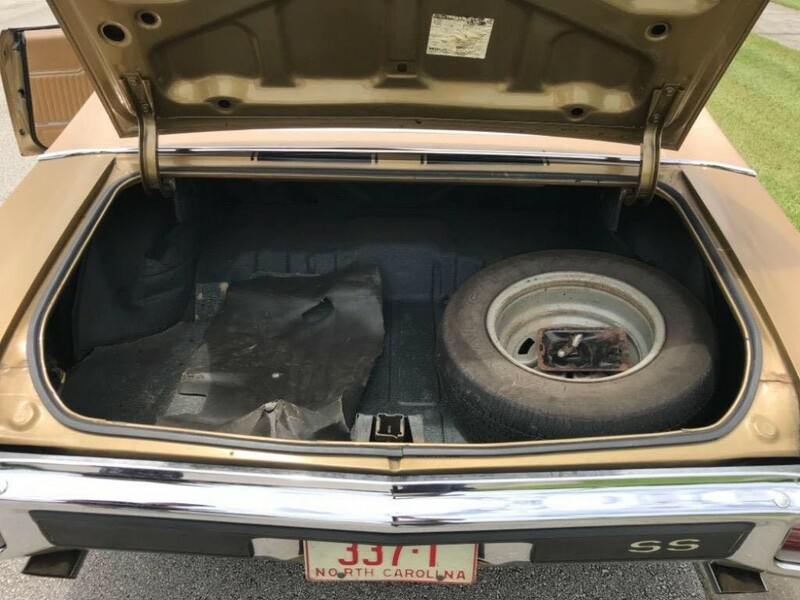 This is one you don’t want to get away! Give us a call TODAY!